Happy Thanksgiving, dear Canadian readers! A lot has happened the past year—heck, even the past couple months—and it's lovely being able to slow down and savour the changes. I'll be taking it easy this weekend, relaxing with loved ones and enjoying some good food. Now, normally I don't post on weekends, but my friends at rewardStyle forwarded the scoop on some sales happening right now that are just too good to miss. I've rounded up a few favourite picks above. 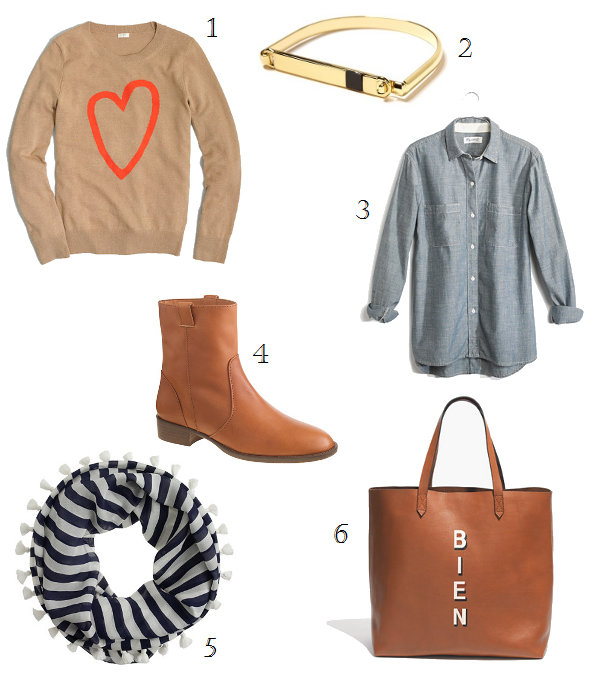 Like my fall closet edit, there's a strong focus on basics and staples—this time with a cozy, cognac-leather twist. How autumnal! Love a good sale! I'll have to check out these ones! I just bought a pair of shoes from Madewell actually...wish I'd had this coupon code then. Happy shopping!